Your library is the most important part of making this movement a success. 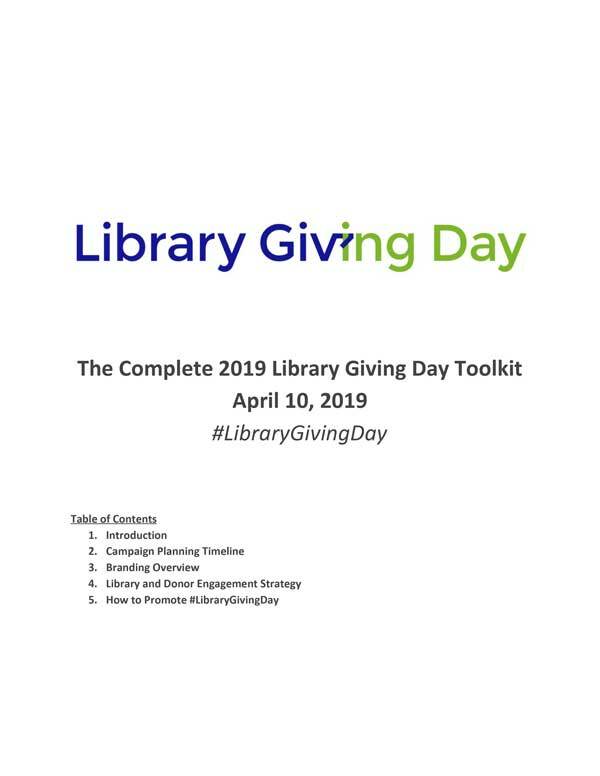 Therefore, we have put together Library Giving Day campaign tools to provide you with all of the resources you need to get started. 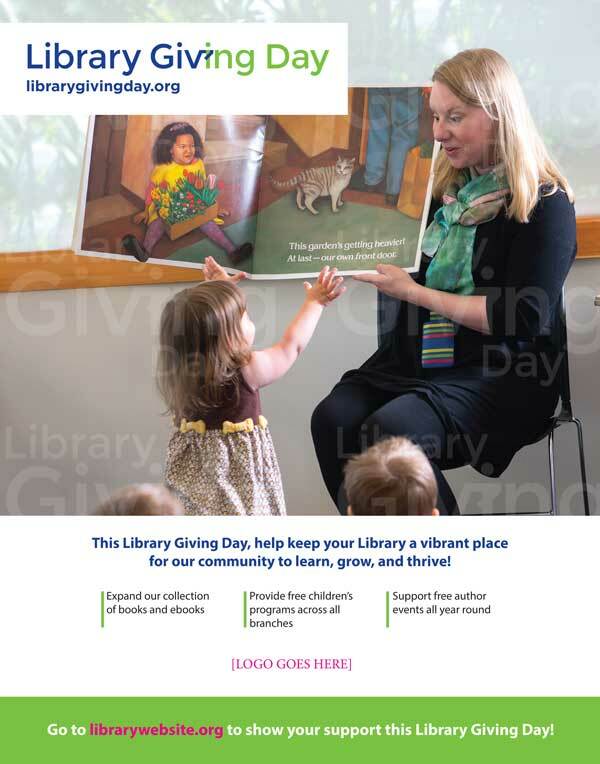 So, download, print, share and start planning your #LibraryGivingDay campaign today. Download the official #LibraryGivingDay Toolkit and start planning. Download the official #LibraryGivingDay logo and other campaign art below. Download sample marketing materials below. Customize the poster for your library. Zip file includes Adobe InDesign file, document fonts, Library Giving Day logo and watermarked photo (for position only). Requires Adobe InDesign. This is an example of effective, mobile-friendly copy and design. #LibraryGivingDay recommends a multi-effort email campaign. For assistance with email, social media and more, contact our strategic library fundraising partner at Carl Bloom Associates.